Paavola, Wayne Matthew; Taken on strength as a Gunner in 15th Field Artillery Regiment RCA on 4 Jul 1977, qualified General Military Training on 26 Aug 1977, released on 4 Aug 1978. ​Packenham; Sergeant in 15th Field Brigade RCA in 1937, Battery Sergeant Major in 1940. Packer, M; Taken on strength 15th Field Artillery Regiment RCA, Ex Limber Gunner 18 Mar 1984. Padden, John Edmund; Previous service with Montreal Heavy Battery and Canadian Officer Training Cadre Divisional Signals, attested Canadian Overseas Expeditionary Force 27 Mar 1916, regimental #336920, 66th Overseas Depot Battery Canadian Field Artillery, embarked Halifax 11 Sep 1916,disembarked Liverpool 22 Sep 1916, taken on strength 14th Brigade Canadian Field Artillery 23 Jan 1917, landed in France 22 Aug 1917, invalided sick and posted to Canadian Artillery Regimental Depot 31 Jan 1918, attached to 2nd CCD 2 Apr 1918, taken on strength Composite Brigade 14 Jun 1918, taken on strength 68th Battery 16th Brigade Canadian Field Artillery North Russia Expeditionary Force 14 Jun 1918, proceeded overseas 20 Sep 1918, disembarked Archangel 1 Oct 1918, to hospital pleurisy 27 Jan 1919, embarked for United Kingdom 11 Jun 1919, to Canada 5 Jul 1919, discharged 15 July 1919, deceased 2 Feb 1925, death attributable to service, interred Mount Royal Cemetery Montreal PQ. Padgett, H; Sergeant listed on the Warrant Officers' and Sergeants' Mess gong. Padilla, Roland Cruz; Taken on strength as a Gunner in 15th Field Artillery Regiment RCA on 19 Nov 1983, released on 29 Nov 1984. Page, Graham Robert; Taken on strength as a Gunner in 15th Field Artillery Regiment RCA on 21 Apr 1983, qualified TQ1 Artilleryman on 22 Jul 1983, qualified TQ2 Basic Artillery Technician on 12 Aug 1983, qualified General Military Training on 3 Aug 1983, promoted Bombardier on 21 Apr 1984, qualified Driver Non-Trade on 1 Jan 1984, released on 1 Nov 1984. 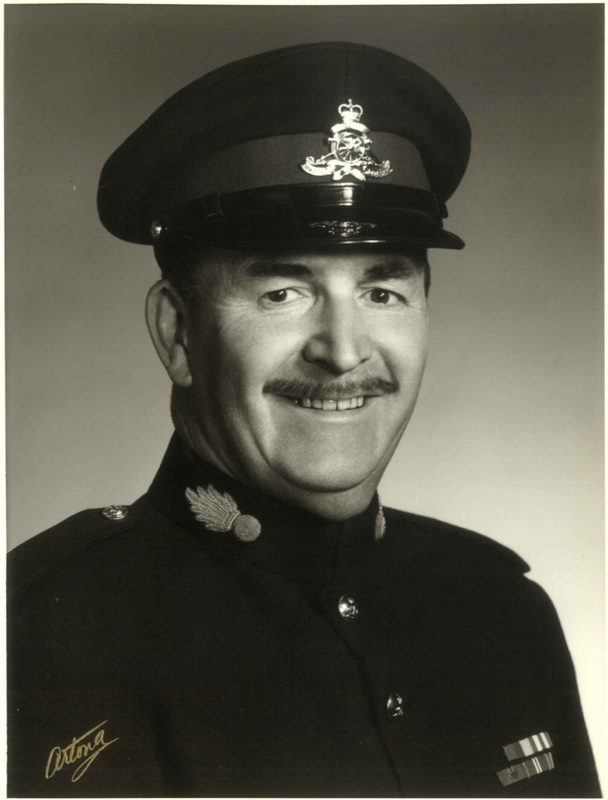 ​Page, James Frederick; Taken on strength as a Musician in 15th Field Artillery Regiment RCA on 21 Feb 1967 with former service in the RCAF, qualified General Military Training on 31 Dec 1968, qualified Musician D-1 on 22 Nov 1972, promoted Bombardier on 29 Nov 1972, qualified TQ3 / TQ4 Musician on 24 Apr 1975, promoted Sergeant on 1 May 1975, released on 31 May 1984. 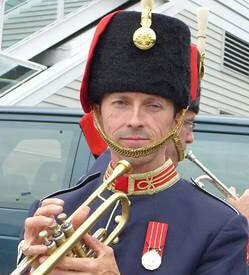 Page, William Charles; Private in the Regimental band in 1969. Page, William Lawrence; Taken on strength as a Gunner with 58th Battery 15th (Vancouver) Coast Regiment RCA NPAM on 7 Aug 1940, assigned regimental number V9983, assigned new regimental number K416592. 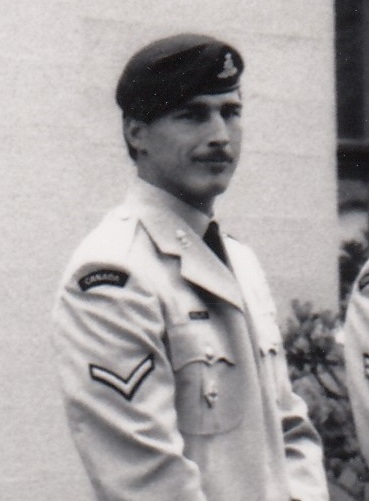 Paguette, Paul Michael; Taken on strength as a Field engineer in 6 Field Engineer Squadron on 5 Apr 1984, transferred to 15th Field Artillery Regiment RCA on 14 Mar 1985, released on 15 Mar 1985. Painter, Harry John; 68th Battery Canadian Field Artillery Nov 1917, Remount Squadron CEF (Siberia) Sept 1918, Discharged Jan 1919. ​Pajala, Ronald Charles; Taken on strength as a Musician in 15th Field Artillery Regiment RCA on 27 May 1976, qualified General Military Training on 13 Apr 1977, qualified TQ1 Musician on 3 Apr 1977, qualified TQ2 Musician on 13 Apr 1977, promoted Bombardier on 1 Apr 1978, promoted Master Bombardier on 1 Jan 1981, promoted Sergeant on 1 Jan 1983, transferred to The British Columbia Regiment on 1 Jun 1991. ​Palle, Hugo; Taken on strength in 15th Field Artillery Regiment RCA on 5 Jun 1975, qualified General Military Training on 31 Aug 1975, completed Driver Non-trade course on 9 Dec 1975, qualified Artilleryman Pay Level C on 11 Jan 1976, promoted Bombardier on 1 Nov 1976, qualified Driver Wheeled on 31 Mar 1977, released on 8 Mar 1978. Pallin, Ernest Allen; Taken on strength 15th Field Regiment RCA on 28 Mar 1955, struck off strength on release on 9 Feb 1956. ​Palmatary, Gary Stewart; Taken on strength as a Gunner in 15th Field Artillery Regiment RCA on 22 Apr 1969, promoted Bombardier on 1 Feb 1971, qualified Senior NCO Part 1 on 17 Oct 1971, operational tour with UNEFME in Cairo from 1973 to 1974, qualified Senior NCO Part 2 on 17 Aug 1974, promoted Sergeant on 1 Oct 1974, promoted Warrant Officer on 1 Nov 1976, qualified Artillery Driver Wheeled on 23 Sep 1976, qualified TQ2 Artillery Communicator on 2 Sep 1976, qualified Basic Intelligence Course on 18 Nov 1976, awarded Dumoulin Trophy for activities in 1977, released 30 Aug 1978. Palmer, EO; Taken on strength as a Gunner 15th (Vancouver) Coast Regiment RCA NPAM, assigned regimental number K415017, to be Acting Lance Bombardier 15 Nov 1940. Palmer, Robert John; Taken on strength as a Gunner in 15th Field Artillery Regiment RCA on 10 Jan 1995, qualified QL2 General Military Training on 11 Aug 1995, qualified QL3 Artilleryman on 20 Aug 1996, released on 26 Apr 1998. Pandolfo, Robert John; Taken on strength as a Gunner in 15th Field Artillery Regiment RCA on 12 Mar 1998, released on 14 May 1998. Pardek, John Andrew; Taken on strength 15th Field Regiment RCA on 20 Feb 1958. Pare, David Putra; Taken on strength as a Gunner in 15th Field Artillery Regiment RCA on 22 May 2003, Gunner from 2003 to 2007, Bombardier from 2011 to 2017. Pare, Phanor; Previous service with 15th Battery Canadian Field Artillery, attested Canadian Overseas Expeditionary Force 18 Mar 1915, regimental #89930, attached 1st Canadian Division Ammunition Column 26 Oct 1916, posted to 10th Battery 12th Brigade Canadian Field Artillery 26 Oct 1916, awarded Good Conduct Badge 18 Mar 1917, taken on strength 3rd Brigade Canadian Field Artillery 20 Mar 1917, admitted hospital gas shell 2 Nov 1917, invalided and posted to Canadian Artillery Regimental Depot 15 Nov 1917, taken on strength Reserve Brigade 3 May 1918, taken on strength Composite Brigade 23 May 1918, attached to 2 CCD 11 Feb 1918, granted permission to marry 25 Jul 1918, taken on strength 68th Battery 16th Brigade Canadian Field Artillery North Russia Expeditionary Force 21 Aug 1918,promoted Acting Bombardier with pay 6 Oct 1918, proceeded overseas 20 Sep 1918, rank of Bombardier confirmed 14 Apr 1919, embarked for United Kingdom 11 Jun 1919, embarked Southampton 2 Sep 1919, disembarked Halifax 10 Sep 1919, discharged 20 Sep 1919. Parent, Patrick Wilfred; Taken on strength 15 Field Regiment RCA on 21 Oct 1954, struck off strength on release on 1 Dec 1957. 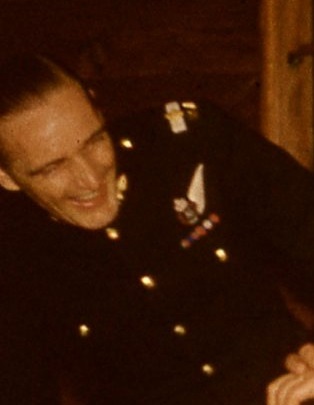 ​Parent, Richard J; Private in 1976, Second Lieutenant in 1978. Parker, J.L. (Bud); Gunner (Acting/Lance Bombardier) in 85th Heavy Battery 15th (Vancouver) Coast Brigade RCA on 26 Aug 1939. Parker, Crystal Theresa; Taken on strength as a Gunner in 15th Field Artillery Regiment RCA on 26 Feb 2002, qualified Basic Military Qualification on 26 Jul 2002, qualified QL3 Artillery on30 Aug 2002, qualified Artillery Communications on 16 Mar 2003, promoted Bombardier on 26 Feb 2004 to 2011, qualified Driver Wheeled on 29 Feb 2004. 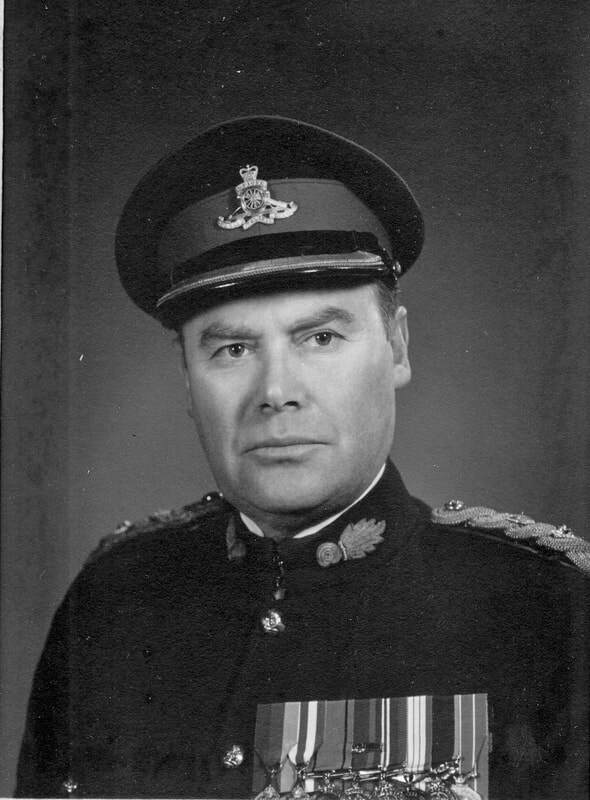 Parker, EB; Taken on strength in 15th Field Regiment RCA on 1 May 1953 on transfer from Canadian Officers Training Corps (UBC), promoted Lieutenant on 18 May 1954, relinquished appointment of PRO, struck off strength on release on 25 Oct 1956. Parker, VJ; Private in 31 Battery in 1969. Parker, William David Anthony; Taken on strength 15th Field Regiment RCA on enrolment on 19 Sep 1955, struck off strength on release on 7 Jun 1956. Parkes, LA; Private in 85 Battery in 1969. Parkinson, Brian Douglas; Taken on strength as a Musician in 15th Field Artillery Regiment RCA on 24 May 1977, qualified TQ1 Musician on 2 Sep 1977, qualified General Military Training on 6 Apr 1978, qualified TQ1 Musician on 2 Sep 1977, promoted Bombardier on 6 Apr 1978, qualified TQ2 Musician on 1 Jun 1980, appointed Master Bombardier on 1 Jun 1980, transferred to Supplementary List on 14 Mar 1986. Parkinson, Colin Raymond; Taken on strength as a Gunner in 15th Field Artillery Regiment RCA 5 Feb 1977, qualified General Military Training 13 Mar 1978, qualified TQ1 Artilleryman 30 Jun 1978, qualified TQ2 Artillery Driver Wheeled 27 Aug 1974, promoted Bombardier 1 Sep 1978, qualified Junior NCO Course 19 Jul 1981, promoted Master Bombardier 22 Jul 1982, qualified TQ2 Artillery Communications 11 Mar 1983, qualified Senior NCO Course 15 Jul 1983,qualified TQ1 Supply Technician 4 Aug 1983, qualified TQ2 Supply Technician 13 Aug 1983, qualified Demolitions Instructor 2 Aug 1985, qualified TQ3 Artilleryman 1 Nov 1985, promoted Sergeant 15 Apr 1986, released 10 Apr 1991. Parks, Geoffrey Scott; Taken on strength as a Gunner in 15th Field Artillery Regiment RCA on 23 Jun 1982, qualified General Military Training on 11 Aug 1982, qualified TQ1 Artilleryman on 14 Oct 1982, qualified TQ2 Basic Artillery Communications, promoted Bombardier on 22 Oct 1983, released on 22 Oct 1983. Parlevliet, P; Private in 31 Battery in 1969. Parrott, Bert; Gunner in 85th Heavy Battery 15th (Vancouver) Coast Brigade, RCA in 1939. Parrott, George Raymond; Taken on strength as a Gunner with 85th Battery 15th (Vancouver) Coast Regiment RCA NPAM on 2 Aug 1940, assigned regimental number V10439, assigned new regimental number K417548. Parrotta, Nick; Taken on strength as a Gunner in 15th Field Artillery Regiment RCA on 9 Dec 1982, qualified General Military Training on 31 Dec 1982, qualified TQ1 Artilleryman on 22 Jul 1983, promoted Bombardier on on 9 Dec 1983, qualified Basic Artillery Communications on 13 Oct 1983, released on 14 Dec 1985. 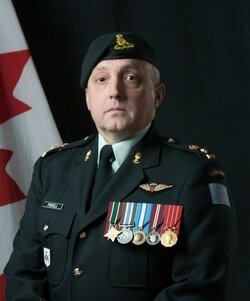 Parr-Pearson, D; Staff Sergeant listed on the Warrant Officers and Sergeant’s Mess gong. Parsad, Arvind Bob Moradujh; Taken on strength as a Gunner in 15th Field Artillery Regiment RCA on 12 Feb 1981, released on 12 Jul 1982, enroled as a Vehicle Technician in 15th Field Artillery Regiment RCA on 7 Jun 1984, qualified General Military Training on 16 May 1984, qualified TQ1 Motor Support Equipment Operator on 10 Aug 1984, released on 29 Oct 1984. Parsloe, T; Private in 31 Battery in 1969. Parsons, Jessika Pearl; Taken on strength as an Administrative Clerk in 15th Field Artillery Regiment RCA on 19 Apr 1990, released on 23 Jul 1990. Partridge, Grayham Cassie; Taken on strength as a Gunner in 15th Field Artillery Regiment RCA on 8 Jan 1987, qualified General Military Training on 13 Jun 1987, qualified TQ1 Artilleryman on 11 Feb 1988, qualified TQ2 Cook on 29 Aug 1988, remustered to Cook on 29 Aug 1988, promoted to Corporal on 8 Jan 1989, qualified BTT Cook on 8 Jan 1989, operational tour with UNFICYP from Sep 1989 to Mar 1990, transferred to Supplementary Holding Reserve on 6 Mar 1997. Pasmore, George Wayne; Taken on strength 15th Field Regiment RCA on enrolment on 1 Sep 1956, struck off strength on release on 1 Aug 1957. Pasmore, James Irwin; Taken on strength 15th Field Regiment RCA on enrolment on 10 May 1956, struck off strength on release on 1 Dec 1957. 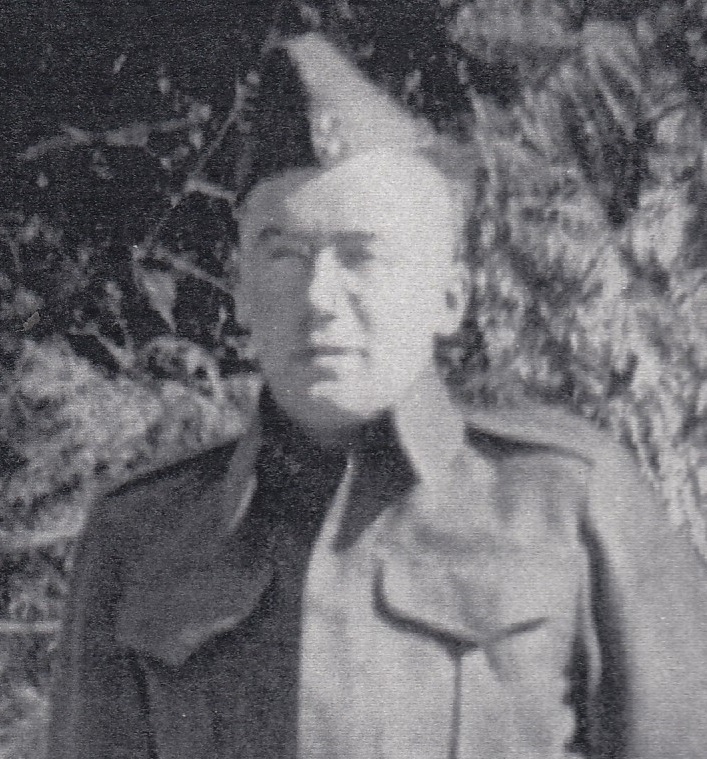 Patch, George Herald; Served with 15th (Vancouver) Coast Artillery Brigade RCA CSAF at the Point Grey Fort, transferred to 5th Regiment, served overseas in Europe. 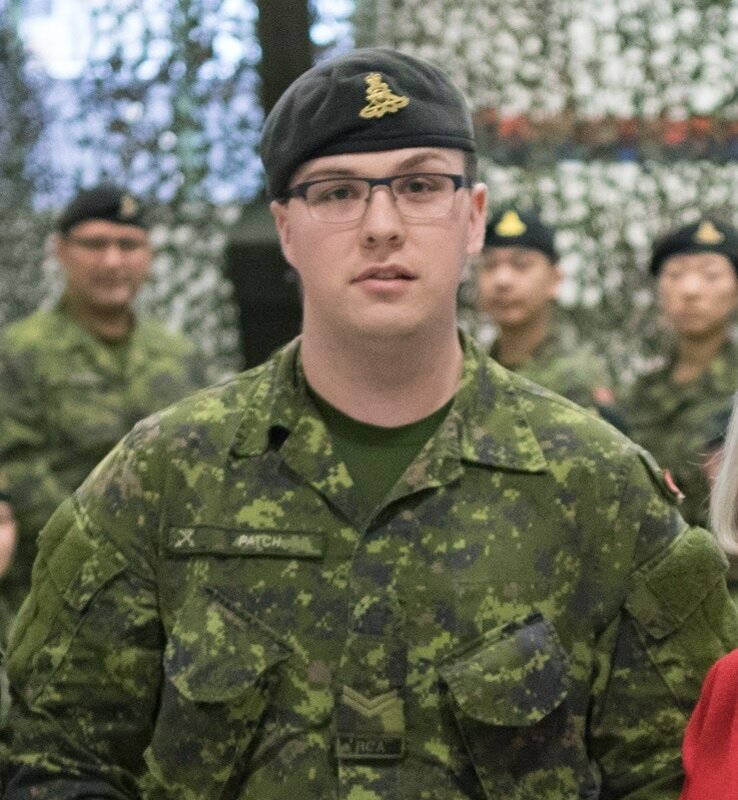 Patch, Nathan R; Taken on strength as a Gunner in 15th Field Artillery Regiment RCA, awarded Most Efficient Recruit of the Year trophy 2009, Bombardier from 2014 to 2017. Patch, Scott; Sergeant in 15th Field Artillery Regiment RCA in Vancouver, Served with The Rocky Mountain Rangers in Kamloops, The British Columbia Dragoons in Kelowna, the 49th Field Artillery Regiment RCA in Sault Ste Marie, ON., retired as a Captain after 26 years. Patchell, Charles Donald; Taken on strength as a Gunner with 85th Battery 15th (Vancouver) Coast Regiment RCA NPAM on 16 Aug 1940, assigned regimental number V10426, assigned new regimental number K417549. Patchell, Ed G; Taken on strength 15th Field Regiment RCA from Supplementary Reserve (RCOC) as Captain on 16 Sep 1954. Pate, Neil Harry; Taken on strength 15th Field Regiment RCA on enrolment on 12 Jan 1956, struck off strength on release on 15 Sep 1957. Patel, Shabbir Hussain Daud Vali; Taken on strength as a Gunner in 15th Field Artillery Regiment RCA on 18 Mar 1999, qualified QL2 General Military Training on 26 Jul 1999, qualified QL3 Artilleryman on 20 Aug 1999, qualified QL4 Artillery Communications on 6 Feb 2000, released on 21 Jun 2001. Paterson, Ron Stanley; Taken on strength as a Gunner in 7th Toronto Regiment RCA on 8 Jun 1960, qualified General Military Training on 1 Sep 1960, qualified TQ1 Artilleryman on 1 Dec 1960, qualified TQ2 Artilleryman on 1 Dec 1960, qualified TQ3 Artilleryman on 1 Sep 1964, qualified TQ4 Artilleryman on 1 Sep 1965, qualified Master Warrant Officer on 1 Sep 1979, transferred to 15th Field Artillery Regiment RCA as Master Warrant Officer on 1 Sep 1981, awarded the Dumoulin trophy for 1982, transferred to 7th Toronto Regiment RCA on 1 May 1983, promoted Chief Warrant Officer and appointed Regimental Sergeant Major 7th Toronto Regiment RCA, stands down as RSM in 1988. Paton, William George; Attested Canadian Overseas Expeditionary Force 12 May 1916, regimental #321904, 53rd Battery 13th Brigade Canadian Field Artillery, forfeited 4 days pay A.W.L.12 May 1916, embarked Halifax 19 Sep 1916, disembarked Liverpool 25 Sep 1916, admitted to hospital 14 Oct 1916, discharged from hospital 20 Oct 1916, admitted to hospital 24 Dec 1916, discharged from hospital 16 Jan 1917, taken on strength 5th Canadian Divisional Artillery Trench Mortar Batteries 13 Apr 1917, posted to Heavy Trench Mortar Battery 18 Aug 1917, posted to 1st Canadian Reserve Artillery 3 Sep 1917, taken on strength 5th Divisional Ammunition Column 22 Sep 1917, arrived in France 24 Sep 1917, taken on strength 14th Brigade Canadian Field Artillery 12 Oct 1917, admitted Field Ambulance 17 Nov 1917, discharged to duty 26 Nov 1917, taken on strength Canadian Artillery Regimental Depot 5 Mar 1918, taken on strength Composite Brigade 19 Jul 1918, taken on strength 68th Battery 16th Brigade Canadian Field Artillery North Russia Expeditionary Force 21 Aug 1918, proceeded overseas 20 Sep 1918, disembarked Archangel 1 Oct 1918, to hospital sick 15 Mar 1919, attached Base Depot 17 Apr 1919, attached Base Depot 421st Royal field Artillery 6 May 1919, rejoined unit 2 Jun 1919, embarked Archangel 11 Jun 1919, disembarked United Kingdom 18 Jun 1919, to Canada 5 Jul 1919, discharged 15 Jul 1919, deceased 12 Feb 1953 Islip New York USA. 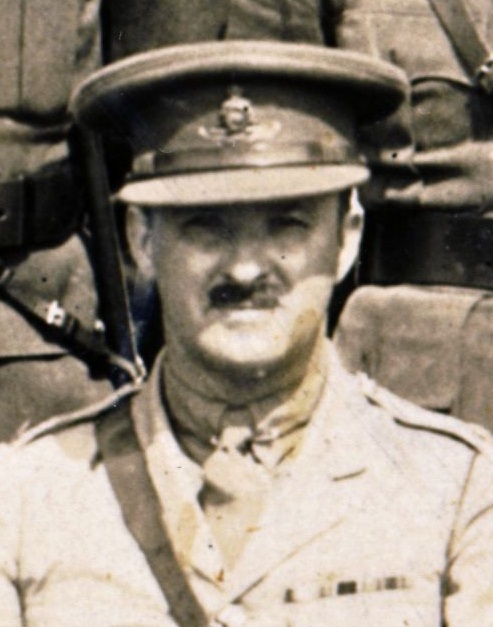 Patten, Benjamin Bell; 14th Brigade CFA, 13th Brigade CFA, 15th Brigade CFA, 2nd Divisional Artillery Column, 5th Brigade CFA, Lieutenant in 1919. Patterson, William Andrew; Taken on strength as a Gunner in 15th Field Regiment RCA on 27 Jan 1949, struck off strength on 14 Jun 1951. Paul, Edgar Bruce; Taken on strength 31 Battery 15th (Vancouver) Coast Brigade RCA NPAM 6 Aug 1940, assigned regimental number V9484, appointed Acting Bombardier 15 Sep 1940, assigned new regimental number K415512. Paul, Robert Clark; Taken on strength with 31 Battery 15 Field Regiment RCA on 15 Jan 1948, appointed Lance Bombardier on 16 Sep 1948, appointed Acting Bombardier on 1 Nov 1951, qualified as Drummer Group 1 on 8 Apr 1952, confirmed as Bombardier on 1 Nov 1952, appointed Acting Sergeant on 1 Nov 1952, reverts to Gunner at own request on 1 Dec 1957, struck off strength on release on 1 Dec 1957. ​Paulse, Michele Grace; Taken on strength as an Administrative Clerk on 14 Jun 1975, qualified General Military Training on 31 Aug 1975, promoted Corporal on 1 Jul 1978, remustered to Supply Technician on 20 May 1980, qualified Supply Technician on 15 Jul 1981, qualified Junior NCO on 19 Jul 1981, qualified Supply Technician TQ3 on 31 Jul 1981, transferred to Supplementary List on 15 Oct 1981. Pawlowski, Tomasz Slawomir; Taken on strength as a Gunner in 15th Field Artillery Regiment RCA on 2 Jul 1981, qualified General Military Training on 18 Aug 1981, qualified TQ1 Artilleryman on 1 Jul 1982, promoted Bombardier on on 2 Jul 1982, released on 15 Jun 1983. Pay, David Charles; Taken on strength as a Musician in 15th Field Artillery Regiment RCA on 5 Apr 1989, qualified General Military Training on 9 Jun 1989, qualified TQ1 Musician on 31 Aug 1989, promoted Bombardier on on 5 Apr 1989, qualified TQ2 Musician on 13 Oct 1983, rqualified QL3 Musician on 7 May 1990, released on 18 Mar 1990. Payne, Earl Franklin; Attested Canadian Overseas Expeditionary Force 9 Jun 1916, regimental #334927, 64th overseas Depot Battery Canadian Field Artillery, embarked Halifax 24 Oct 1916, disembarked Liverpool 5 Nov 1916, proceeded overseas 18 Mar 1916, posted 1st Divisional Ammunition Column 21 Mar 1917, posted to 8th Brigade Canadian Field Artillery 7 Jul 1916, invalided sick and taken on strength Canadian Artillery Regimental Depot 5 Feb 1918, taken on strength Composite Brigade 31 May 1918, taken on strength 68th Battery 16th Brigade Canadian Field Artillery North Russia Expeditionary Force 21 Aug 1918, proceeded overseas 20 Sep 1918, disembarked Archangel 1 Oct 1918, to hospital sick 15 Mar 1919, attached Base Depot 17 Apr 1919, attached Base Depot 421st Royal field Artillery 6 May 1919, rejoined unit 2 Jun 1919, embarked Archangel 11 Jun 1919, disembarked United Kingdom 18 Jun 1919, to Canada 5 Jul 1919, discharged 31 Jul 1919. Peacock, Frederick Alonzo; Montreal Heavy Brigade, qualified Lieutenant 24 Dec 1914, qualified Captain 20 Feb 1915, attested Canadian Overseas Expeditionary Force 30 Jul 1915, Major from 1916 to 1917, Battery Commander 31 Battery from 1916, embarked St John 5 Feb 1916, disembarked Plymouth 14 Feb 1916, landed in France 14 Jul 1916, ranted 10 days leave of absence 12 Nov 1916, granted extension on medical certificate to 29 Nov 1916, rejoined unit 4 Dec 1916, detached from unit to attend Artillery Course in England 10 Dec 1916, rejoined unit 1 Jan 1917, transferred to 9th Brigade Canadian Field Artillery on reorganization 5 May 1917, transferred to Headquarters Director of Forests 9 Jul 1917, granted 14 days leave United Kingdom 13 Aug 1918, leave to Canada from 20 Sep 1918 to 20 Nov 1918, leave extended to 20 Jan 1919, posted to Casualty Company 20 Nov 1918, struck off strength 7 Feb 1919, deceased 28 Feb 1970, interred Cimetière Mont-Royal Montreal QC. 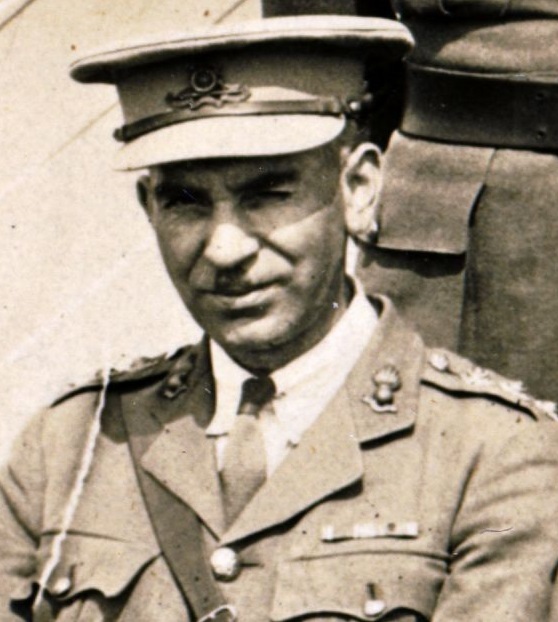 Peake, Arthur George; Taken on strength with Prince Edward Island Heavy Brigade Canadian Garrison Artillery, taken on strength as a Major with the No. 5 Siege Battery Canadian Garrison Artillery on 27 Mar 1916, embarked on the S.S. Southland on 26th Sep 1916, wounded. 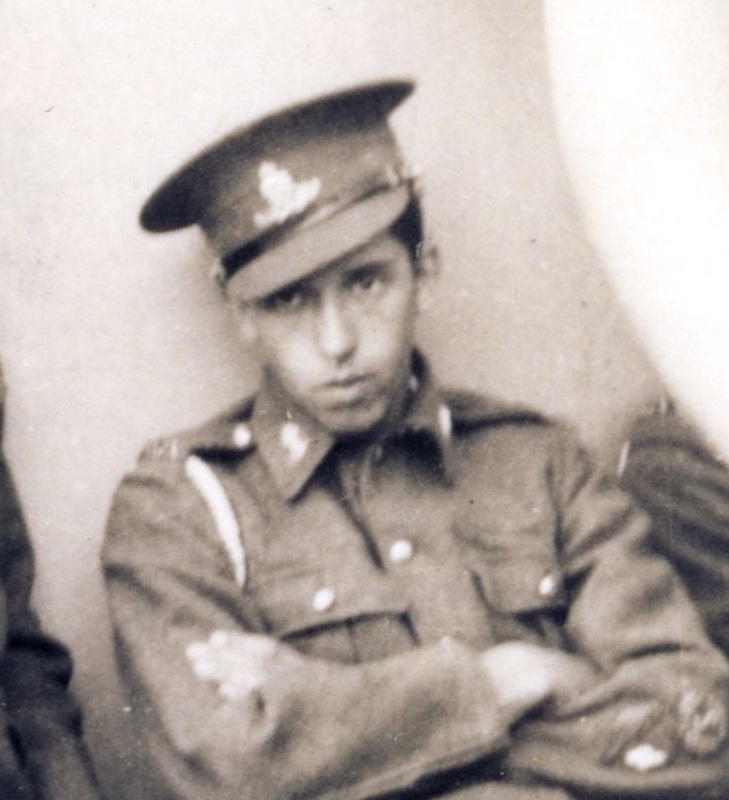 Peake, Harold Weston; Taken on strength with Prince Edward Island Heavy Brigade Canadian Garrison Artillery, taken on strength as a Lieutenant with the No. 5 Siege Battery Canadian Garrison Artillery on 8 May 1916, embarked on the S.S. Southland on 26th Sep 1916, wounded. Pearce, Fred G; On 1947-1967 list of reunion invitees. Pearce, Richard Barry; Taken on strength 15th Field Regiment RCA on enrolment with former service in Royal Canadian Air Force on 22 Nov 1955. Pearen, Christopher K; Taken on strength in 15th Field Artillery Regiment RCA, Private in 2017. Pearse, Hubert Arnold; 72nd Battery Canadian Field Artillery Petawawa Gunner Sept 1916, England Nov 1916, Composite Heavy Battery Jan 1917, France 1st Canadian Heavy Battery March 1917, Wounded Passchendaele Nov 8 1917, Invalided to England Nov 1917, France 1st Heavy Battery July 1918, 5th Canadian Siege Battery March 1919, Canada and discharged May 1919. Pearse, RB; Gunner in 15th Field Regiment RCA in 1956, struck off strength on release on 15 Oct 1956. 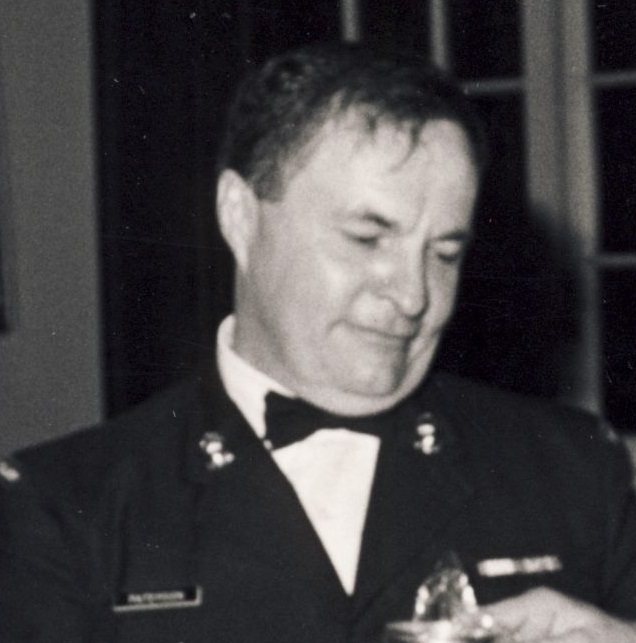 Pearson, Dave L; Officer Cadet in 102nd Coast Regiment RCA in 1954, Lieutenant in 1958, assigned service number TK99644, 43rd Medium Anti-Aircraft Regiment RCA in 1958, awarded Canadian Forces Decoration 30 May 1960, Captain in 1962, 209th Battery 15th Field Artillery Regiment RCA in 1962. Pearson, John David; Taken on strength as a Gunner in 15th Field Artillery Regiment RCA on 1 Oct 1979, qualified General Military Training, released on 1 Mar 1981. 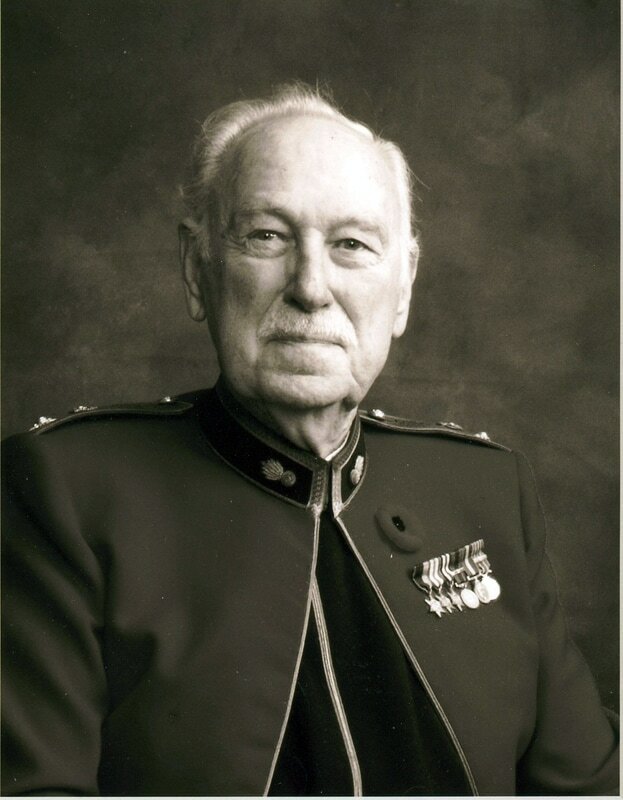 Peck, Horace Wesley Joangas; Lieutenant-Colonel from 1952 to 1954, Commanding Officer 102nd Coast Regiment RCA from 1952 to 1954, awarded Canadian Efficiency Decoration on 25 May 1953, deceased 22 May 1987, buried Holy Trinity Anglican Cemetery Sidney BC. Pecsi, James; Taken on strength 15th Field Artillery Regiment RCA on 12 Apr 2001, qualified QL2 Recruit on 20 Jul 2001, qualified QL3 Artillery on 24 Aug 2001, qualified Driver Wheeled on 26 Jan 2002, qualified Basic Artillery Technician on 19 Aug 2002, promoted Acting Bombardier on 15 Dec 2002. Pedingham; Sergeant in 15th Field Brigade RCA in 1937. Pedlingham, Leonard Charles; Taken on strength in 15 Field Regiment RCA on 22 Sep 1949, appointed Acting Sergeant on 23 Sep 1949, reverts to rank of Gunner on 11 May 1950, struck off strength on 29 Jun 1950. ​Peel, Frank Sanford; Taken on strength as a Gunner with 58th Battery 15th (Vancouver) Coast Regiment RCA NPAM on 7 Aug 1940, assigned regimental number V9985, assigned new regimental number K416594. Peel, Kenneth Sydney; Taken on strength as a Gunner with 85th Battery 15th (Vancouver) Coast Regiment RCA NPAM on 2 Aug 1940, assigned regimental number V10440, assigned new regimental number K417550. 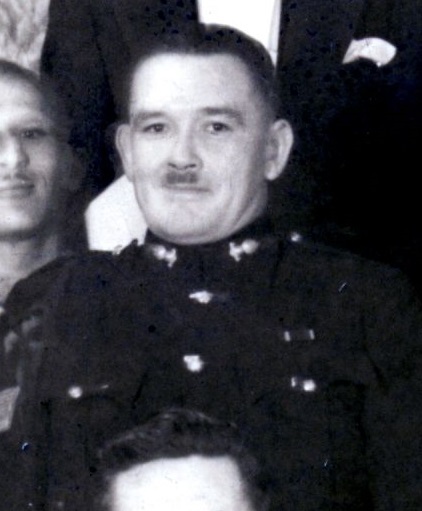 Pegg, Howard Clinton; Taken on strength as a Gunner with 58th Battery 15th (Vancouver) Coast Regiment RCA NPAM on 31 Jul 1940, assigned regimental number V9984, assigned new regimental number K416593. Pegg, Lewis Glendon; Taken on strength as a Gunner with 85th Battery 15th (Vancouver) Coast Regiment RCA NPAM on 16 Aug 1940, assigned regimental number V10434, assigned new regimental number K417551. Pek, Pauline Josephine; Taken on strength as a Gunner in 15th Field Artillery Regiment RCA on 7 Jun 1990, qualified General Military Training on 1 Aug 1990, qualified QL3 Saxophone on 7 Sep 1990, released on 1 Mar 1993. 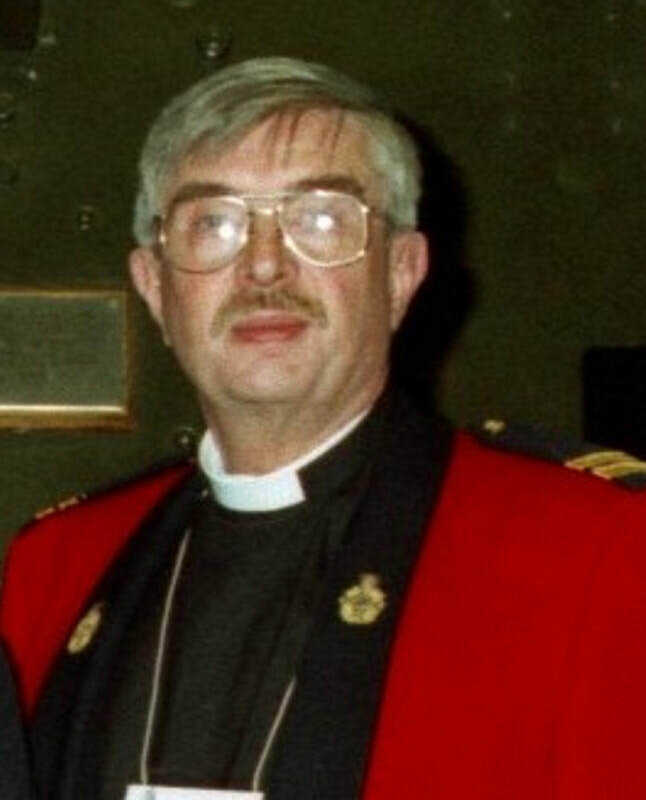 ​Pell, Archibald James; Taken on strength as a Chaplain in 15th Field Artillery Regiment RCA as a Captain on 28 Jul 1992, qualified Basic Critical Incident Stress on 26 Mar 1993, qualified Advanced Critical Incident Stress on 27 Mar 1983, transferred to Supplementary Holding Reserve on 29 Dec 1997, appointed Regimental Major. Pellant, Ernest Roy; Taken on strength Canadian Army Active Force in 1940, North Africa, transferred to Princess Patricia's Canadian Light Infantry in Italy as Lieutenant, captured and held POW for 1 1/2 years, Captain in 1956, 43rd Heavy Anti-Aircraft Regiment RCA in 1956, 43rd Medium Anti-Aircraft Regiment RCA in 1958, 210th Battery 15th Field Artillery Regiment RCA in 1962, 158 Battery in 1963, deceased 22 Nov 2008. Pellatt, Reginald Henry; Taken on strength as a Gunner with 85th Battery 15th (Vancouver) Coast Regiment RCA NPAM on 9 Aug 1940, assigned regimental number V10469, assigned new regimental number K417552. Pender, Oliver Lawrence; ​Attested into Canadian Overseas Expeditionary Force 15 Apr 1916, Cobourg Heavy Battery, Regimental number 126052, embarked Halifax 18 Jun1916, disembarked Liverpool 26 Jun 1916, taken on strength 165th Siege Battery 5 Jul 1916, proceeded overseas 21 Sep 1916, 165th Siege Battery now 5th Canadian Siege Battery, 11 Jan 1917, sick influenza 14 Jan 1917, rejoined unit 17 Jan 1917, deceased 21 Apr 1917, buried Villers Station Cemetery Pas de Calais France. Penman, DM; Gunner in 43rd Heavy Anti-Aircraft Regiment RCA in 1947. Penman, David R; Taken on strength Seaforth Highlanders of Canada Canadian Active Service Force, struck off strength Active Service in 1947, taken on strength 102nd Coast Regiment RCA, appointed Regimental Sergeant Major 102nd Coast Regiment RCA, taken on strength 43rd Heavy Anti-Aircraft Regiment RCA in 1953, taken on strength 15th Field Regiment RCA on transfer from 43rd Heavy Anti-Aircraft Regiment RCA on 29 Mar 1955 as Acting Warrant Officer Class I, appointed Regimental Sergeant Major on 29 Mar 1955, promoted substantive Warrant Officer Class I on 2 Jul 1955, stood down 1966, deceased 9 Mar 2001. Penman, D W; Taken on strength with 158 Battery 15th Field Regiment RCA on 19 Mar 1959. Penner, Darrell N; Taken on strength as a Musician in 15th Field Artillery Regiment RCA, Private in 1990.Master Bombardier in 2017. Penner, Diedrich; Taken on strength 15th Field Regiment RCA with former service in Royal Canadian Air Force on 19 Nov 1957. Penner, Raymond; Taken on strength as a Gunner in 15th Field Artillery Regiment RCA on 19 May 1992, qualified QL2 General Military Training on 24 Jul 1992, qualified QL3 Artillery on 14 Aug 1992, qualified FMC Driver Wheeled on 14 Feb 1993, qualified QL4 Artillery on 3 Feb 1994, promoted on 19 May 1994, qualified QL4 Artillery Communicator on 12 Aug 1994, qualified QL4 Artillery Driver Wheeled on 14 Feb 1993, released on 16 May 1996. 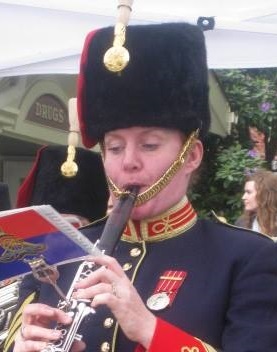 ​Penner, Susan J; Taken on strength as a Musician in 15th Field Artillery Regiment RCA, Sergeant from 2006 to 2017. Pennington, Douglas William; Taken on strength as a Gunner in 15th Field Artillery Regiment RCA on 2 Apr 1981, qualified General Military Training on 18 Aug 1981, qualified TQ1 Artilleryman on 1 May 1982, promoted Bombardier on on 1 May 1982, qualified TQ2 Basic Artillery Communications on 23 Jul 1982, qualified Driver Non-Trade on 10 Jun 1982, qualified TQ2 Artillery Driver Wheeled on 17 Sep 1982, transferred to the Regular Force on 20 Jan 1983, re-enroled on 16 Apr 1987, qualified Combat Leaders Course on 30 Jul 1987, promoted Master Bombardier on 9 Oct 1987, transferred to Seaforth Highlanders of Canada on 9 Jun 1988. Pennington, John Travers; Taken on strength 15th Field Regiment RCA as Officer Cadet from University Contingent COTC/UBC on 31 Dec 1956, promoted Second Lieutenant on 1 Sep 1957, deceased 17 Mar 1963, buried Valley View Memorial Gardens Surrey BC. ​Penny, WM; Lieutenant in 15th (Coast) Brigade RCA CA in 1942. Penrose, Roy Franklin; Taken on strength in 15th Coast Regiment RCA on 3 Oct 1946, promoted Sergeant from 3 Oct 1946 to 1950, struck off strength on 23 Mar 1950. 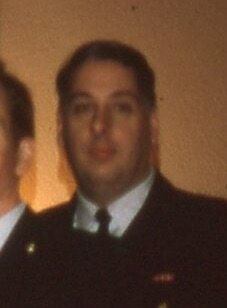 Pentecost, Richard; ​Taken on strength 15 Field Regiment RCA on 11 Mar 1954, struck off strength on release on 6 Dec 1954. Pentecost, RMS; Taken on strength in 15 Field Regiment RCA on 22 Jun 1950, struck off strength on 15 Feb 1951. 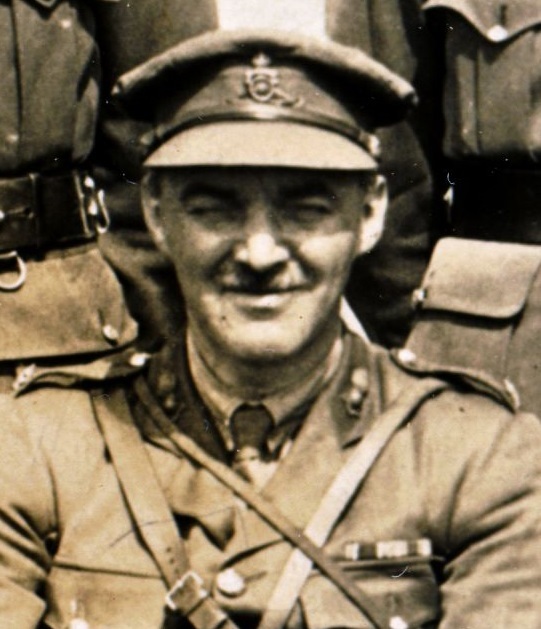 Peplar, Don Francis; 8th Howitzer Brigade CFA, 15th Brigade CFA, 6th Brigade CFA, 7th Brigade CFA, 1st Divisional Artillery Column, 2nd Brigade CFA, Lieutenant in 1918. Peppin, Darren Joseph Donald; Taken on strength as a Gunner in 15th Field Artillery Regiment RCA on 18 Feb 1989, released on 18 Feb 1989. Percy, GR; Lieutenant in 31 Battery in 1969. ​Perkins, James Eugene; Taken on strength as a Gunner in 15th Field Artillery Regiment RCA on 20 May 1993, qualified QL2 General Military Training on 25 Aug 1993, qualified QL3 Artillery on 28 Mar 1994, promoted Bombardier on on 12 Jul 1995, qualified LFC Driver Track on 13 Jul 1995, promoted Bombardier on 12 Jul 1995, qualified Basic Communications on 16 Jun 1995, qualified LFC Junior NCO Part I & II on 23 Aug 1996, operational tour with SFOR from 25 Sep 1996 to 31 Aug 1997, qualified Artillery Communications on 6 Feb 2000, released. ​Perrett, M; Lance Sergeant in 15th (Coast) Brigade RCA CA in 1942. Perrigo, John; 17th Hussars Montreal, attested Canadian Overseas Expeditionary Force 21 Sep 1916, regimental #349373, “C” Battery Royal Canadian Horse Artillery, embarked Halifax 25 Nov 1916, disembarked Liverpool 30 Nov 1916, taken on strength Reserve Brigade Canadian Field Artillery 30 Nov 1916, transferred 1st Heavy Battery 20 Apr 1917, joined unit 29 Apr 1917, influenza 4 Dec 1917, invalided sick and taken on strength Canadian Artillery Regimental Depot 22 Dec 1917, attached 2 CCD 18 Feb 1918, ceases attachment 4 Jun 1918, taken on strength Composite Brigade 14 Jun 1918, taken on strength 68th Battery 16th Brigade Canadian Field Artillery North Russia Expeditionary Force 21 Aug 1918, embarked Archangel 11 Jun 1919, disembarked United Kingdom 18 Jun 1919, to Canada 5 Jul 1919, discharged 15 Jul 1919, deceased 21 May 1962, interred Cimetière Mont-Royal Montreal QC. Perry, Judith Marjorie; Taken on strength 15th Field Regiment RCA on transfer from 111 Manning Depot CA(M) on 1 Jun 1954, struck off strength on release on 31 Aug 1954. Perry, Richard Thomas; Member of Norfolk Imperial Yeomanry, attested into Canadian Over-Seas Expeditionary Force 1 Nov 1914, Lieutenant in No 19 Company Canadian Army Service Corps 10 Aug 1914, No. 8 Company 2nd Divisional Train 1 Nov 1914, proceeded to England 18 Apr 1915, proceeded to France 14 Sep 1915, invalided sick to England 10 Apr 1916, proceeded to France reinforcement in 131st Siege Battery 27 Nov 1916, invalided sick to England 12 Feb 1917, proceeded to France reinforcement in 6th Siege Battery Canadian Garrison Artillery 22 May 1917, proceeded to England on duty 17 Jun 1917, seconded to War Office (Aerodrome Construction) 2 Nov 1917, returned to Canada 5 Dec 1918, demobilized 15 Feb 1919, member of Vancouver Overseas Artillery Association in 1919, taken on strength with 68th Battery 15th Brigade Canadian Field Artillery on 15 July 1920, Captain from 1922 to 1924, Major from 1924 to 1928, Battery Commander 31st Battery from 1924 to 1928, member of Vancouver Artillery Association in 1928, Lieutenant-Colonel and Commanding Officer 15th Field Brigade Canadian Artillery from 1930 to 1934, architect for Bessborough Armoury, deceased 22 February 1967. Pesklevits, Leon John; Taken on strength as a Gunner in 15th Field Artillery Regiment RCA on 3 Mar 1977, qualified General Military Training on 18 Jun 1977, qualified Artilleryman on 25 Aug 1977, promoted Bombardier on 1 Apr 1978, qualified Driver Wheeled on 3 Jun 1978, released on 16 Nov 1978. Peters, Andrews S; Taken on strength in 15th Field Artillery Regiment RCA, Second Lieutenant from 2007 to 2009, Lieutenant from 2010 to 2013, Captain from 2014 to 2017. Petersen (Peterson), Kenneth Louis; Taken on strength in 15th Field Regiment RCA on 22 Oct 1953, struck off strength on 13 May 1954. 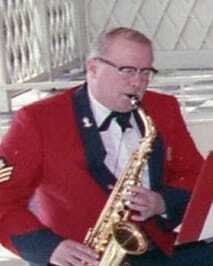 Peterson, DP; Private in the Regimental Band in 1969. Peterson, George Bradley; Taken on strength in 15th Field Artillery Regiment RCA on 2 Jul 1981, released 3 Sep 1981. 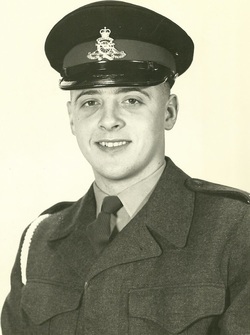 Peterson, John; Taken on strength 15th Field Regiment RCA on enrolment with former service in Royal Canadian Air Force on 22 Sep 1955, struck off strength on release on 7 Jun 1956. Peterson, RA; Sergeant listed on the Warrant Officers and Sergeant’s Mess gong. Peterson, RM; Taken on strength 15th Field Regiment RCA on enrolment with former service in Merchant Navy on 2 May 1955, struck off strength on release on 1 Oct 1957. Petit, Monique; Taken on strength as an Administrative Clerk in 20th Independent Battery RCA on 9 May 1977, qualified General Military Training on 29 Jul 1977, remustered to Supply Technician on 1 May 1978, promoted Corporal on 9 May 1978, qualified TQ2 Supply Technician on 22 Aug 1978, transferred to 15th Field Artillery Regiment RCA on 16 Dec 1979, qualified Junior NCO on 27 Jul 1980, qualified TQ3 Supply Technician on 12 Aug 1980, promoted Master Corporal on 27 Jul 1980, transferred to Supplementary list on 21 Feb 1983. 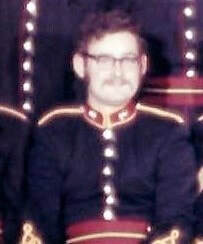 Petrie, Iain; Private in the Regimental Band in 1969. Petrie, Phillip Conrad; Taken on strength in 15th Field Regiment RCA on 8 Oct 1953, struck off strength on 11 Mar 1954. 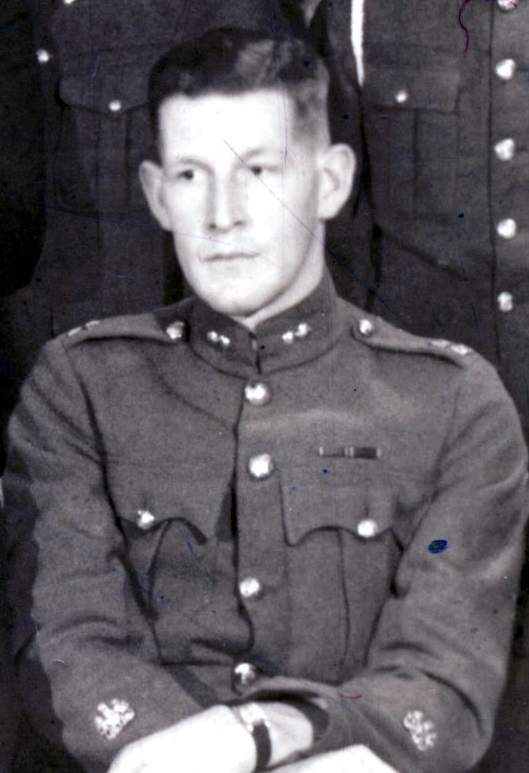 Petrie, Wade Wilbur; Taken on strength 15 Field Regiment RCA on 11 Mar 1954, struck off strength on release on 28 Dec 1954. Pharez, Brian David; Taken on strength in 15th Field Artillery Regiment RCA on 4 Jul 1977, released 29 Jun 1978. ​Phelan, Joseph A; Taken on strength as a Gunner in 15th Field Artillery Regiment RCA on 2 Feb 1961, passed Junior NCO Course on 20 Mar 1962, promoted Bombardier on 1 May 1962, struck off Strength on 1 Jun 1963, taken on strength on 4 Feb 1964, appointed Lance Bombardier on 1 Apr 1964, promoted Bombardier on 1 Dec 1965, qualified Block 1 Motor Transport Driver on 10 Mar 1965, qualified Block 1 and 2 Militia Cook on 31 Dec 1967, remustered to Cook on 1 Apr 1968, transferred to Royal Canadian Service Corps attached to 15th Field Artillery Regiment RCA on 1 Jan 1969, promoted Corporal on 1 Jul 1970, callout with 4th Canadian Mechanized Brigade Group on REFORGER in Oct 1973, qualified Senior NCO Cook on 20 Feb 1975, promoted Sergeant on 1 Apr 1975, operational tour with United Nations Emergency Force Middle East from 28 Apr to 15 Jan 1979, transferred to Supplementary list on 25 Mar 1982, attach post on 1 Jul 1982, attach posted on 1 Jul 1983, attach post from 1 Jan to 30 Jun 1983, attach post from 1 Jul 1983 to 1 Jul 1984, deceased 19 June 2001. Phillips, Allyson Cheryl; Taken on strength as a Musician in 15th Field Artillery Regiment RCA on 19 Feb 1989, qualified General Military Training on 9 Jun 1989, qualified TQ1 French Horn on 28 Aug 1989, promoted Bombardier on on 19 Feb 1990, qualified QL4 Musician on 19 Feb 1990, released on 6 May 1994. Phillips, Anton; Taken on strength 15th (Vancouver) Coast Regiment RCA NPAM, assigned regimental number V9204, taken on strength as administrative staff (Clerk) Gunner with 15th (Vancouver) Coast Regiment RCA NPAM on 1 Aug 1940, to be Acting Orderly Room Sgt with pay 1 Sep 1940, assigned new regimental number K415004 10 Oct 1940. Phillips, James Leonard; Previous service in 16th Regiment-2 years 155th Battalion 6 months, attested Canadian Overseas Expeditionary Force 14 Dec 1916, regimental #1093133, 254th Overseas Battalion, transferred to #3 Special Service Company 9 May 1917, discharged medical 18 Jun 1917, drafted 72nd (Queen’s) Battery Canadian Field Artillery 1 Jan 1918 regimental #343284, embarked Halifax 27 Feb 1918, disembarked Glasgow 12 Mar 1918, taken on strength Reserve Brigade 12 Mar 1918, taken on strength 68th Battery 16th Brigade Canadian Field Artillery North Russia Expeditionary Force 10 Sep 1918, embarked for overseas 20 Sep 1918, arrived Archangel 1 Oct 1918, embarked for United Kingdom 11 Jun 1919, proceeding to Canada 5 Jul 1919, discharged 15 Jul 1919, deceased 16 Jun 1955. Phillips, RL; Private in 85 Battery in 1969. ​Phillips, Randy Bruce; Taken on strength as a Gunner in 15th Field Artillery Regiment RCA on 18 Jun 1988, qualified General Military Training on 16 Jul 1988, qualified QL3 Artilleryman on 30 Dec 1988, promoted Bombardier on on 1 Nov 1990, qualified Driver Wheeled on 16 Feb 1992, qualified QL4 Artillery Communicator on 7 May 1992, operational tour UNFICYP from 31 Jul 1992 to 16 Mar 1993, qualified Artillery Recce Technician on 11 May 1993, qualified Combat Leaders Course on 23 Jun 1993, promoted Master Bombardier on 1 Nov 1993, qualified Machine Gunner on 7 Jul 1995, released on 30 Jun 1998. Phillips, Richard Secord; Taken on strength 43 Heavy Anti-Aircraft Regiment RCA 1948, transferred 15 Field Regiment RCA as Officer Cadet on 21 Dec 1950, struck off strength on enlistment to Canadian Army Active Force on 15 Aug 1951, attended Royal Military College Kingston 1952, Lieutenant, married Anne Elizabeth Hockey Sep 1952, posted to 81st Field Regiment RCA Sep 1952, deceased 19 Feb 1953 Petawawa ON due to premature 25 pounder shell, interred Mountain View Cemetery Vancouver BC. Phillips, Tyler James; Taken on strength as a Gunner in 15th Field Artillery Regiment RCA on 22 Apr 1997, qualified QL2 General Military Training on 3 Aug 1997, qualified QL3 Artilleryman on 22 Aug 1997, released on 15 Oct 1998. Phinney, HB; Taken on strength as a Gunner 15th (Vancouver) Coast Regiment RCA NPAM, assigned regimental number K415018. Phoenix, Connie-Lu; Taken on strength as an Administrative Clerk in the British Columbia Dragoons, qualified TQ1 Administration Clerk on 29 May 1980, qualified TQ1 Motor Support Equipment Operator on 26 Jun 1981, qualified TQ1 Finance on 8 Apr 1982, qualified TQ2 Motor Support Equipment Operator on 29 May 1982, qualified TQ2 Finance on 24 Feb 1984, transferred to the Rocky Mountain Rangers on 1 Mar 1985, transferred to 15th Field Artillery Regiment RCA as a Corporal on 1 Oct 1987, transferred to Supplementary List on 1 Sep 1988, transferred to 15th Field Artillery Regiment as Finance Clerk on 2 Mar 1989, transferred to The British Columbia Regiment on 1 Nov 1990, transferred to BC District Headquarters, promoted Sergeant. Pichler, E; Sergeant listed on the Warrant Officers and Sergeant’s Mess gong. Pickerill, Leslie Jane; Taken on strength as an Administrative Clerk in 15th Field Artillery Regiment RCA on 17 Feb 1977, qualified General Military Training on 18 Jun 1977, qualified non-trade driver course on 25 Aug 1977, qualified Administrative Clerk Trade Qualification 1 on 11 Mar 1978, transferred to Supplementary Reserve on 4 May 1978. Piedmont, Joseph Luis Diego; Taken on strength as a Gunner in 15th Field Artillery Regiment RCA on 24 April 1986, qualified General Military Training on 13 Nov 1986, released on 7 Jan 1988. ​Piercy, James Edward; Born in Hong Kong, Gunner in Hong Kong Volunteer Artillery, Lieutenant in 5th Regiment Canadian Garrison Artillery 16 Mar 1917 when attested into the Canadian Expeditionary Force, taken on strength Reserve Brigade Canadian Field Artillery, taken on strength 2nd Brigade CRA 22 Jun 1917, taken on strength Reserve Brigade Canadian Field Artillery 18 Nov 1917, taken on strength "E" Anti-Aircraft Battery 3 Feb 1918, taken on strength 3rd Brigade Canadian Field Artillery 8 Jun 1918, granted 14 days leave to England 23 Sep 1918, granted 14 days leave to United Kingdom 22 Feb 1919, proceeded to England 25 Apr 1919, sailed for Canada 18 May 1919, struck off strength Canadian Expeditionary Force 4 Jun 1919, Lieutenant in 31st Battery 15th Brigade from 1922 to 1925, Captain from 1925 to 1928, transferred to 68th Battery on 1 April 1925, Major from 1930 to 1941, Battery Commander 85th Battery from 29 Sep 1939 to 6 Oct 1940, and 14 Feb 1941 to 4 Nov 1941, awarded Efficiency Decoration in 1941, deceased 5 Mar 1976. Pietrantonia, Dean Domenico; Taken on strength as an Artilleryman in 15th Field Artillery Regiment RCA on 24 May 1979, released 9 Jul 1979. Pinkham, Arnold Henry; ​Taken on strength as a Gunner with 58th Battery 15th (Vancouver) Coast Regiment RCA NPAM on 7 Aug 1940, assigned regimental number V9986, appointed Acting Bombardier, assigned new regimental number K416522. ​Pirie, George; ​Taken on strength as a Gunner with 58th Battery 15th (Vancouver) Coast Regiment RCA NPAM on 7 Aug 1940, assigned regimental number V9987, to be Acting Lance Sergean 1 Sep 1940, assigned new regimental number K416511. 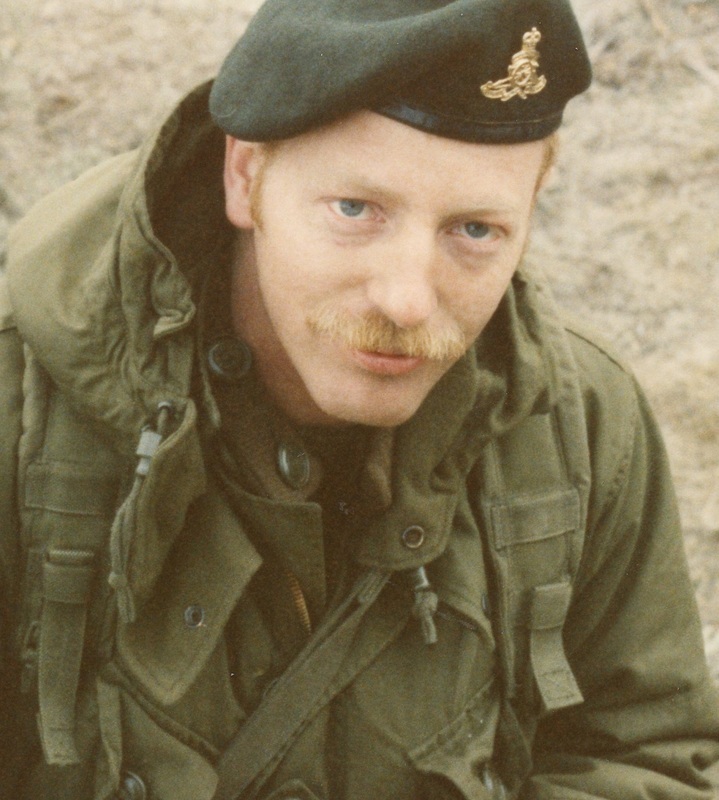 Pistun, Dennis G; Taken on Strength Canadian Forces in 1968, Operational tour with United Nations Emergency Force in 1969, Petty Officer Second Class from 1999 to 2001, posted in as Unit Administrative Assistant from 1999 to 2001. Pitman, Ian M; Taken on strength in 15th Field Artillery Regiment RCA, Master Bombardier from 2014 to 2017. Pitt, Frank Ernest; Taken on strength as a Gunner with 85th Battery 15th (Vancouver) Coast Regiment RCA NPAM on 9 Aug 1940, assigned regimental number V10505, assigned new regimental number K417553. Plagianis, James Dimitris; Taken on strength as a Gunner in 15th Field Artillery Regiment RCA on 25 Mar 1982, released on 28 Apr 1983. 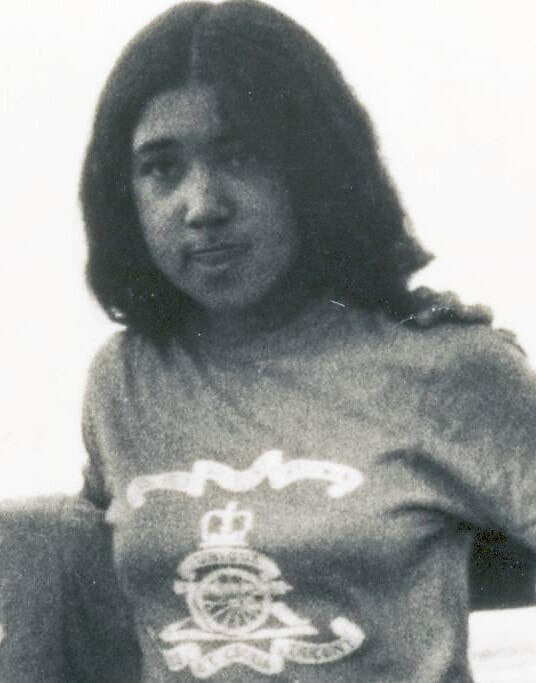 Plastiras, Paula Ann; Taken on strength as an Administrative Clerk in 15th Field Artillery Regiment RCA on 26 Jun 1975, qualified General Military Training on 25 Aug 1975, released 25 Aug 1978. 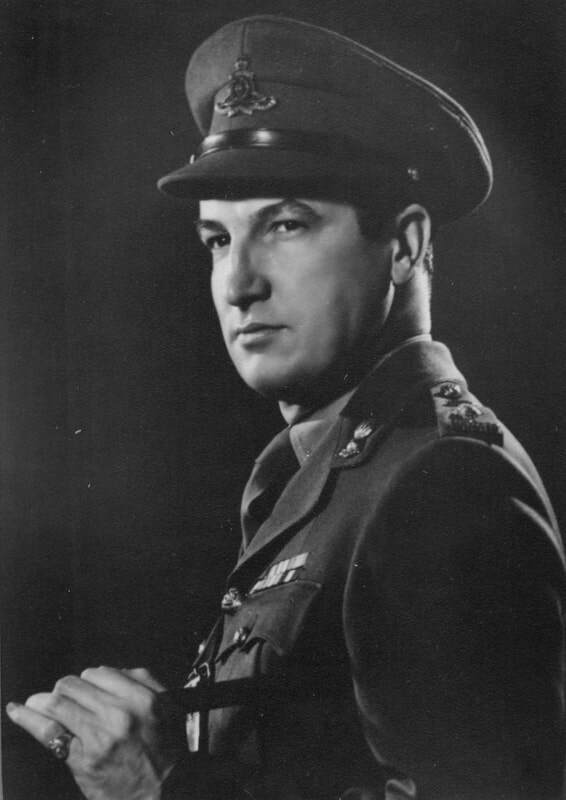 ​​​Platt, Gordon Maurice; Taken on strength from the General List on 1 Apr 1946 as a Lieutenant in 15 Coast Regiment RCA, promoted Captain on 3 Nov 1947 to 1948, to be Major from 3 Jul 1951, appointed Battery Commander 31 Battery on 1 Sep 1957, promoted Lieutenant-Colonel and appointed Commanding Officer 1965, promoted Colonel 1969, appointed Honorary Staff Sergeant in Warrant Officers and Sergeants' Mess, deceased 17 March 2004. Platt, RS; Lance Bombardier in 31 Battery in 1967, Sergeant in 209 Battery from 1968 to 1969. ​Plows, Morris Edward; Taken on strength as a Gunner in 15th Field Artillery Regiment RCA on 19 Jan 1984, qualified QL2 General Military Training on 30 Jun 1984, qualified QL3 Artilleryman on 7 Jul 1984, qualified TQ1 Motor Support Equipment Operator on 10 Aug 1984, promoted Bombardier on 26 Jan 1985, transferred to Supplementary Reserve on 20 Apr 1989. ​​​Ployart, Chris Linda; Taken on strength as an Administrative Clerk in 15th Field Artillery Regiment RCA on 17 Feb 1977, qualified General Military Training on 18 Jun 1977, qualified non-trade drive on 25 Aug 1977, qualified Administrative Clerk Trade Qualification 1 on 11 Mar 1978, promoted Corporal on 1 Apr 1978, released 1 Aug 1978. Plunkett, Glenn William; Taken on strength as a Logistical Finance Officer in 16th Service Battalion as an Actinfg Lieutenant on 16 May 1990, qualified FMC Driver Wheeled on 7 Apr 1991, qualified BCT Finance on 24 Jan 1992, Promoted Lieutenant on 24 Jan 1992, qualified ICT Block I Finance on 15 May 1992, qualified ICT Block III Finance on 15 May 1992, transferred to 15th Field Artillery Regiment RCA on 1 Sep 1993, released on 17 Oct 1996. Point, Thomas Anthony; Taken on strength as a Gunner in 15th Field Artillery Regiment RCA on 2 Apr 1987, released on 24 Oct 1987. Pollard, T; Gunner in 43rd Heavy Anti-Aircraft Regiment RCA in 1947. Pollyn, Stanley Ernest; Acting Warrant Officer Class II in 15 Infantry Brigade in 1954, taken on strength on transfer 15th Field Regiment RCA on 20 Oct 1954, promoted Warrant Officer Class II on 1 Dec 1955, reverts to substantive Sergeant on 1 Nov 1958, struck off strength on release on 1 Nov 1958. Poole, John Cranston; ​Taken on strength from the Medical General List and attached to 15th Coast Regiment RCA on 1 Apr 1946 as a Captain. Poole, Lawrence John; Taken on strength 15th Field Regiment RCA on enrolment with former service in Canadian Army Militia on 6 Jun 1955, struck off strength on transfer to 24 Medical Company RCAMC on 31 Mar 1956. Poritz, Freeman Neil Darrington; Taken on strength as a Gunner in 15th Field Artillery Regiment RCA on 11 Jul 2002, qualified Basic Military Qualification on 1 Aug 2003, qualified Soldier Qualification on 28 Aug 2003, released on 5 Feb 2004. 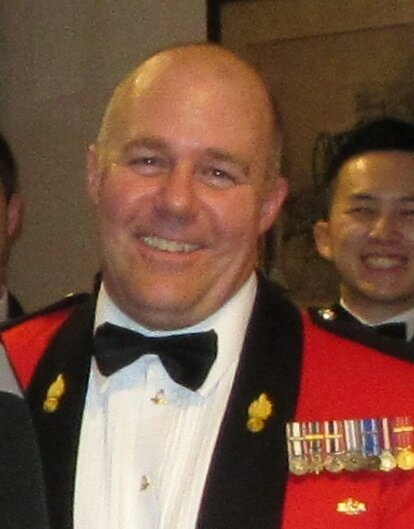 Porritt, Heath L; Bombardier 1995, 1st Regiment Royal Canadian Horse Artillery 1995, Master Bombardier from 2001 to 2005, Western Area Training Centre Detachment Shilo from 2001 to 2002, 1st Regiment Royal Canadian Horse Artillery from 2004 to 2011, Sergeant from 2007 to 2008, Warrant Officer from 2009 to 2017, Regular Force Support Staff from 2013 to 2016, component transferred to Primary Reserve in 2016. Porter, Joe A; Bombardier in 31 Battery 15th Field Artillery Regiment RCA in 1992. 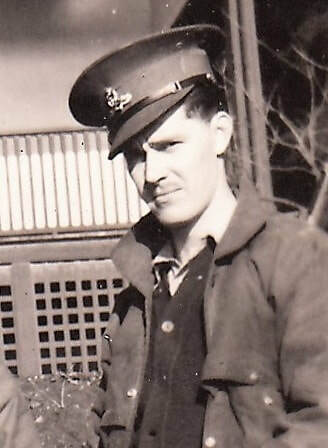 Porter, Richard Earl; Taken on strength as a Gunner with 58th Battery 15th (Vancouver) Coast Regiment RCA NPAM on 7 Aug 1940, assigned regimental number V9988, assigned new regimental number K416595. 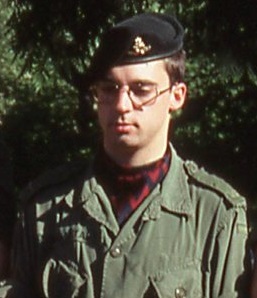 Porter, Terrence David; Taken on strength as a Musician in 15th Field Artillery Regiment RCA on 7 Jun 1980, Master Corporal, transferred to Governor General Foot Guards on 20 Sep 1984, transferred to 15th Field Artillery Regiment RCA on 3 Nov 1984, transferred. 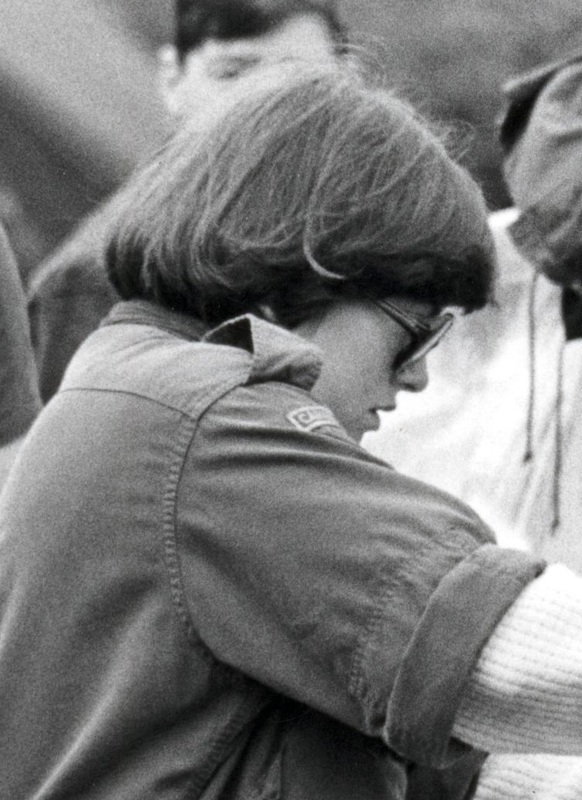 Porter; Captain in 85 Battery in 1969. ​Posey, Judith Mary; Taken on strength as a Musician in 15th Field Artillery Regiment RCA on 20 May 1982, remustered to Administration Clerk, qualified General Military Training on 3 Aug 1983, qualified TQ1 Finance on 16 Mar 1984, released on 11 Oct 1986. 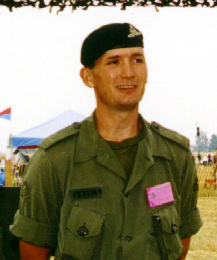 Posterski, Scott Douglas; Taken on strength as a Gunner in 15th Field Artillery Regiment RCA on 27 May 1997, qualified QL2 General Military Training on 3 Aug 1997, qualified QL3 Artilleryman on 22 Aug 1997. 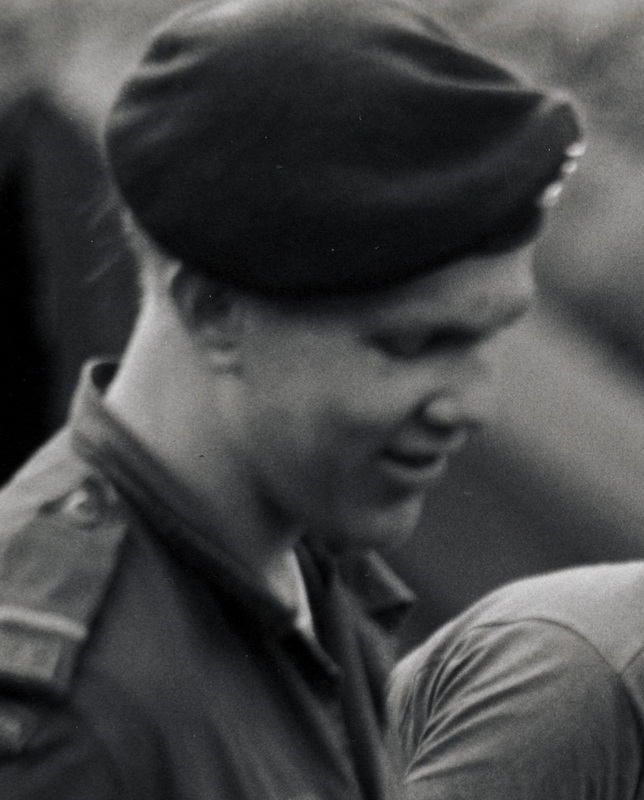 Postnikoff, Don Peter; Taken on strength 15th Field Regiment RCA on 16 Oct 1958. Powell, George; Taken on strength as a Gunner with 85th Battery 15th (Vancouver) Coast Regiment RCA NPAM on 9 Aug 1940, assigned regimental number V10470, assigned new regimental number K417554. Powell, Ina Marianne; Taken on strength as a Gunner in 15th Field Artillery Regiment RCA on 18 Jun 1987, qualified QL2 General Military Training on 13 Aug 1987, released on 9 Jun 1998. Power, DS; Struck off strength on release on 31 Mar 1955. Power, Pat; Gunner in 85th Heavy Battery 15th (Vancouver) Coast Brigade RCA on Yorke Island. Power, Robert Stanley; Taken on strength 15th Field Regiment RCA on 6 Jan 1955. Prasad, Atish; Taken on strength as a Gunner in 15th Field Artillery Regiment RCA on 13 Jun 1987, qualified General Military Training on 13 Aug 1987, qualified TQ1 Artilleryman on 11 Feb 1988, qualified TQ Infantryman Communications on 2 Aug 1988, qualified Artillery Recce Technician on 26 Jul 1989, released on 3 Sep 1988. 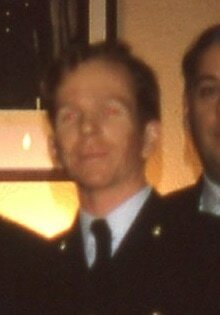 Pratt, Jason Sean; Taken on strength as a Gunner in 15th Field Artillery Regiment RCA on 24 Jun 1989, released on 13 Jul 1989. Prentis, Deborah Lynn; Taken on strength as a Cook in 15th Field Artillery Regiment RCA on 16 May 1986, qualified General Military Training on 14 Jun 1986, released on 15 Aug 1986. 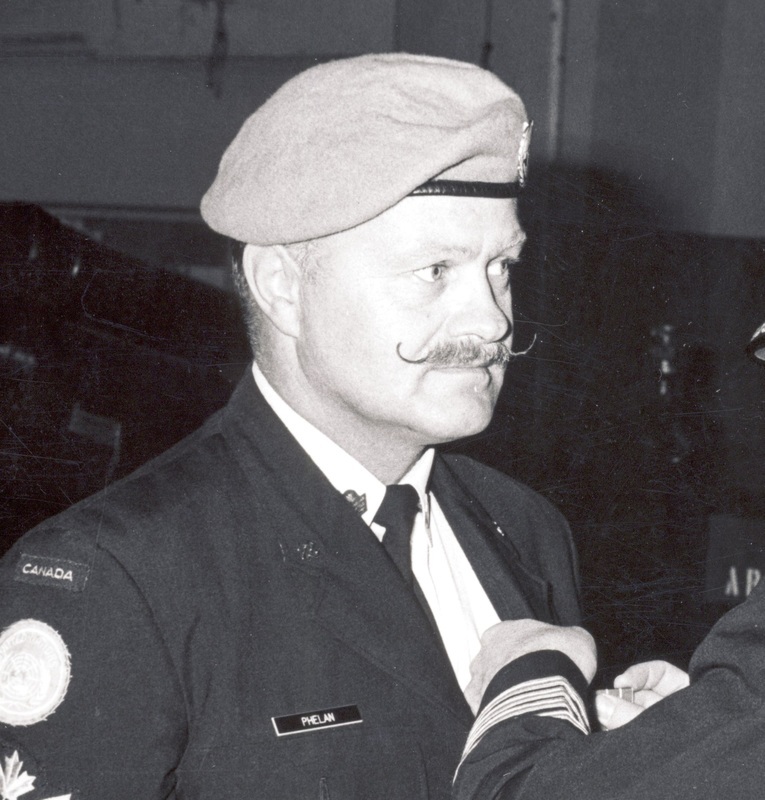 ​Preston; Captain in 15th Field Artillery Regiment RCA in early 1970s. Preston, BD; Taken on strength with 158 Battery 15th Field Regiment RCA on 19 Mar 1959, Sergeant listed on the Warrant Officers and Sergeant’s Mess gong. Preston, Frederick; Taken on strength as a Gunner with 58th Battery 15th (Vancouver) Coast Regiment RCA NPAM on 14 Aug 1940, assigned regimental number V9989, assigned new regimental number K416596. Preston, HE; Warrant Officer Class II in 1958, 43rd Medium Anti-Aircraft Regiment RCA in 1958. Price, Blair David; Taken on strength as an Artilleryman in 15th Field Artillery Regiment RCA on 30 Jun 1983, qualified General Military Training on 19 Aug 1983, released 15 Sep 1983. Price, George Henry; Taken on strength in 31 Battery 15th Fd Regiment RCA on 27 Sep 1951, appointed Lance Bombardier on 4 Feb 1952, appointed Acting Bombardier on 1 Jan 1953, confirmed Bombardier on 1 Apr 1953, promoted Acting Sergeant on 1 Apr 1953, reverts to Gunner on 28 Dec 1954, struck off strength on release on 28 Dec 1954. Price, Lynn Joanne; Taken on strength as a Musician in 15th Field Artillery Regiment RCA on 18 May 1986, released on 6 Jun 1986. Priebe, Alfred Clarence; Taken on strength 15 Field Regiment RCA on 14 Jan 1954, struck off strength on release on 28 Dec 1954. Priester, Peter Gregory; Taken on strength as an Artilleryman on 20 Mar 1976, qualified General Military Training on 5 Jun 1976, qualified Artilleryman Trade Qualification 1 on 2 Aug 1976, qualified Artillery Communicator Trade Qualification 2 on 9 Jan 1977, promoted Bombardier on 1 Apr 1977, released 24 Jun 1978. Pringle, Donald Gordon; Taken on strength in 15th Field Artillery Regiment RCA on 7 Jul 1980, released 31 Aug 1980. Pringle, Walter Francis, Appointed Acting Regimental Quartermaster Sergeant 15 Sep 1940, appointed Regimental Quartermaster Sergeant in 1940, appointed Quartermaster 15th (Vancouver) Coast Brigade RCA (Reserve) in 1941, assigned new regimental number K415006 10 Oct 1940, Second Lieutenant in 1941, appointed Quartermaster 15th (Vancouver) Coast Brigade RCA (Reserve) in 1941. Priske, Sullivan Michael; Taken on strength 15th Field Regiment RCA on 6 Feb 1958. Pritchard, Barry Spencer; Taken on strength 15th Field Regiment RCA on enrolment with former service in Canadian Army (R) on 1 Mar 1956, struck off strength on release on 21 Jun 1956. Pritchard, NS; Sergeant listed on the Warrant Officers and Sergeant’s Mess gong. Procker; Sergeant in 15th Field Brigade RCA in 1937. 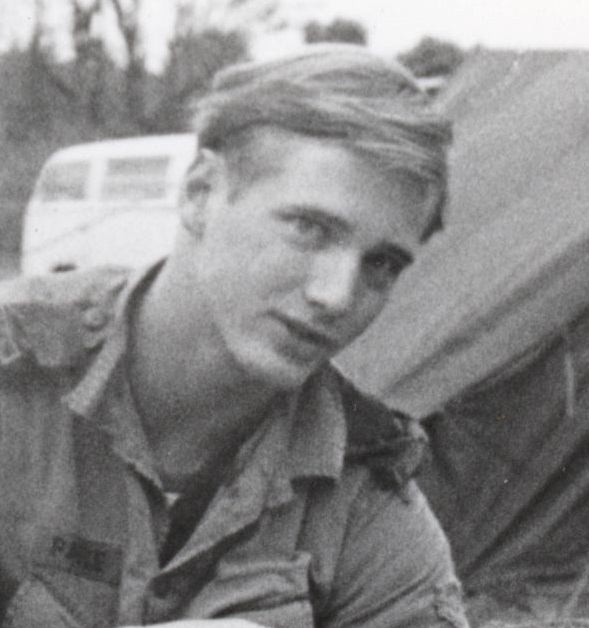 Prokop, Randolf Dale; Taken on strength as an Artilleryman in 15th Field Artillery Regiment RCA on 7 Oct 1971, qualified General Military Training on 7 Oct 1971, completed Artillery Communicator course on 27 Jul 1973, released 20 May 1975. Prowse, George Lemuel; Taken on strength with Prince Edward Island Heavy Brigade Canadian Garrison Artillery in 1902, taken on strength as a Lieutenant with the No. 5 Siege Battery Canadian Garrison Artillery on 27 Mar 1916, embarked on the S.S. Southland on 26th Sep 1916, wounded. Pudlas, Andrew Charles; Taken on strength as a Gunner in 15th Field Artillery Regiment RCA on 11 Apr 2002, qualified Basic Military Qualification on 26 Jul 2002, qualified QL3 Artillery on 7 Aug 2002, released on 10 Apr 2003. Pugh, George William; Gunner in the 85th Coast Battery, 15th (Vancouver) Coast Brigade RCA in 1939, deceased in 1991. Pulchny, John Peter; Taken on strength as an Artilleryman on 2 Mar 1976, qualified General Military Training on 5 Jun 1976, employed on GAMESCAN from 16 Jun to 22 Aug 1976, qualified Artilleryman Trade Qualification 1 on 8 Jan 1977, promoted Bombardier on 1 Apr 1977, component transferred to Regular Force on 4 Jan 1978, Lieutenant 1985 to 1986, 2nd Regiment Royal Canadian Horse Artillery from 1985 to 1988, Captain from 1987 to 2000, Mobile Command Headquarters from 1988 to 1990, Regular Force Support Staff Halifax from 1991 to 1992, Land Force Atlantic Headquarters 1993 to 2000. ​Purcell, A; Lieutenant in 15th (Coast) Brigade RCA CA in 1942. Purcell, Brent Austin; Taken on strength in the Regular Officer Training Program 1989, Second Lieutenant from 1991 to 1992, Lieutenant from 1992 to 1994, 3rd Regiment Royal Canadian Horse Artillery, Operational tour with UNFICYP-1992/1993, 1st Regiment Royal Canadian Horse Artillery, Captain from 1994, posted to 5th (BC) Field Artillery Regiment RCA, released Jun 1996, taken on strength 15th Field Artillery Regiment RCA on 6 Sep 2000, Captain from 2000 to 2004, Operational tour Operation ATHENA in Afghanistan in Jul 2004, Major from 2005 to 2014, promoted Lieutenant-Colonel and appointed Commanding Officer in 2014, handed over command on 13 May 2017. Purdon, Christopher H; Taken on strength in 15th Field Artillery Regiment RCA, Second Lieutenant in 2017. ​​Purdy, Willard George; Taken on strength 15th Brigade Canadian Field Artillery 1924, Warrant Officer Class I and Regimental Sergeant Major 15th Field Brigade Royal Canadian Artillery 1933, awarded Kings Jubilee Medal 1935, awarded Canadian Efficiency Medal 8 Aug 1936, awarded Kings Coronation Medal 1937, Lieutenant Quartermaster 15th (Vancouver) Coast Brigade 26 Aug 1939,promoted Captain, transferred to Canadian Military Headquarters 21 Army Group United Kingdom 7 Aug 1942, promoted Major, assigned Port Major at Hook of Holland, discharged 19 Aug 1947, possibly deceased 1994 Barnstable/Devon/England. Purrott, David Edwin; Taken on strength 31 Battery 15th (Vancouver) Coast Brigade RCA NPAM 30 Aug 1940, assigned regimental number V9482, assigned new regimental number K415587. Purvey, Richard; Gunner in 15th Field Regiment RCA in 1949, struck off strength on 23 Nov 1950. ​Puttick, Albert Watts; Letter carrier with Canada Post, previous service with B Battery Royal Canadian Horse Artillery, taken on strength Canadian Expeditionary Force on 17 September 1916, Battery Sergeant Major 62 Battery 15th Brigade Canadian Field Artillery and 14th Brigade Canadian Field Artillery, Lieutenant in 1918, taken on strength with 68th Battery 15th Brigade Canadian Field Artillery on 25 May 1923, Lieutenant from 1923 to 1925, Captain from 1926 to 1930, Major in 1937, Major in the Corps Reserve of Officers in 1939, deceased 13 April 1968. Pydzinski, Ewa; Taken on strength as a Gunner in 15th Field Artillery Regiment RCA on 16 Apr 1998, released on 15 May 1998. Quinn, Gordon Broughton; Taken on strength with 15th Coast Regiment RCA on 27 Nov 1947, struck off strength on 28 Oct 1948. Quinn, William Roger; Taken on strength as a Gunner with 85th Battery 15th (Vancouver) Coast Regiment RCA NPAM on 9 Aug 1940, assigned regimental number V10471, assigned new regimental number K417555.